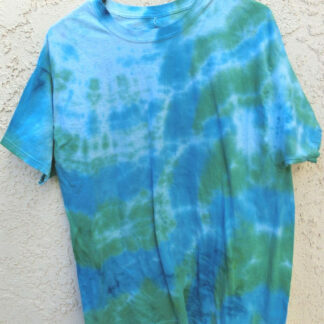 This dreamy hand-dyed shirt is made of soft, pre-shrunk & pre-washed cotton and colors are guaranteed not to bleed! 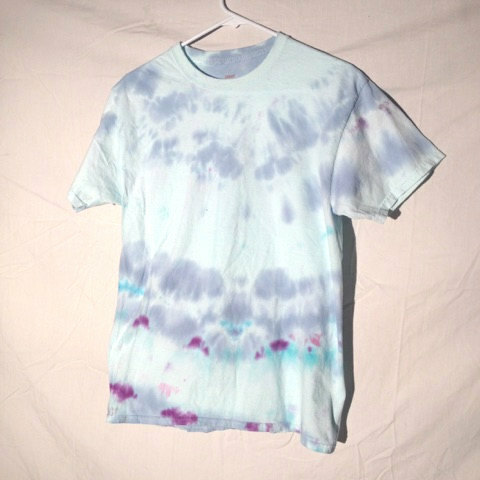 Subtle pastels offer a gentler, softer take on traditional tie-dye designs in this chilled-out shirt. 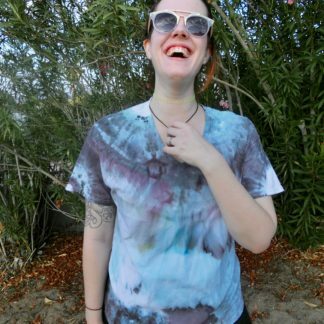 These shirts are super comfortable, perfect for lounging around the house in your jammies or adding a psychedelic flare to your next going-out ensemble, fighting ninjas, drum circles, parties, or whatever floats your boat. This a is completely unique design so once it sells it’s gone! If the size won’t work for you but you like the design, feel free to contact us and we can try to recreate it for you! 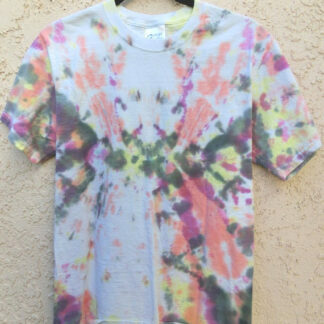 Bear in mind that given the nature of tie-dye it won’t be a perfect duplicate. 100% preshrunk Hanes Comfortsoft brand cotton tee.